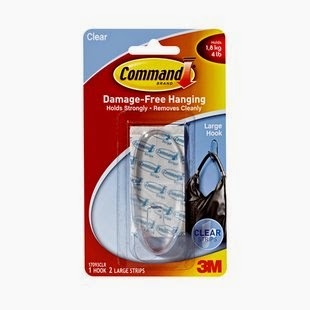 and 4 Clear Large Command Hooks for $4.99 each. 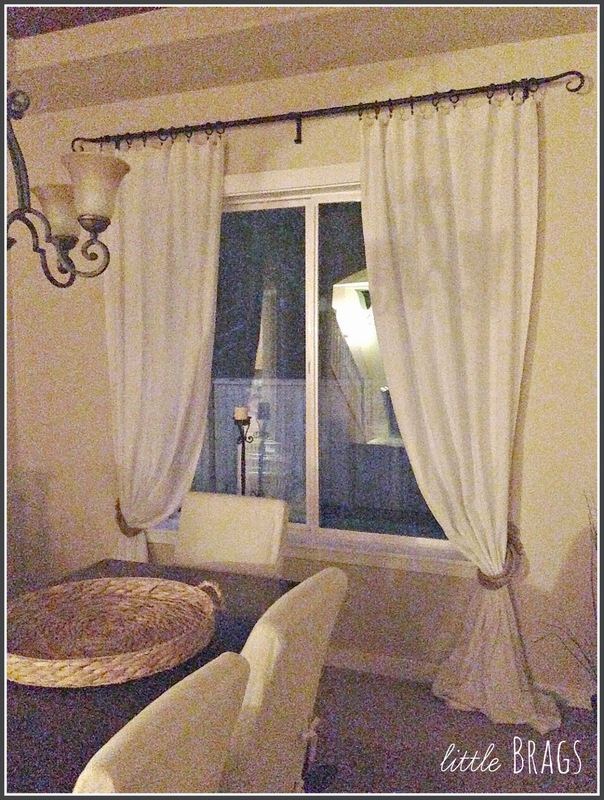 the curtain, so you really can't see it on the wall. it was getting dark and I just didn't have good lighting. puddle on the floor looks good with the tie back look. 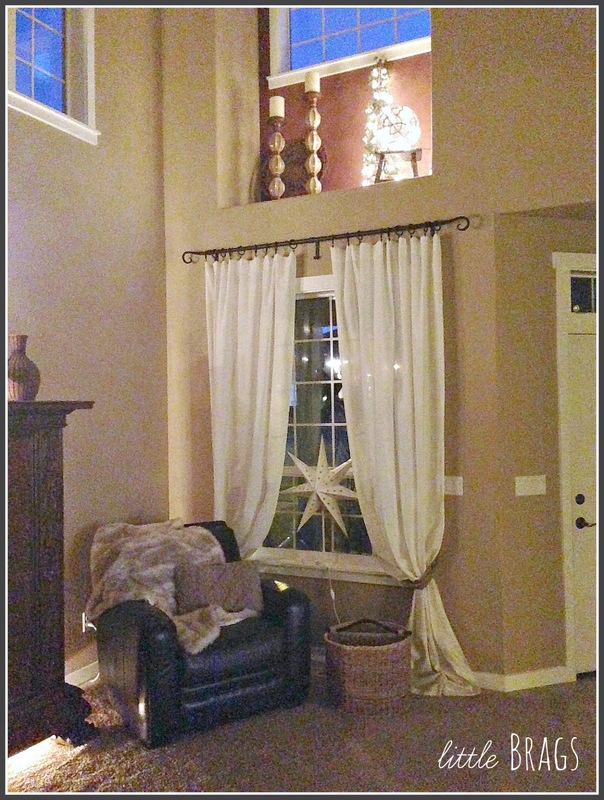 I think the rope really compliments the jute rug under the cowhide. 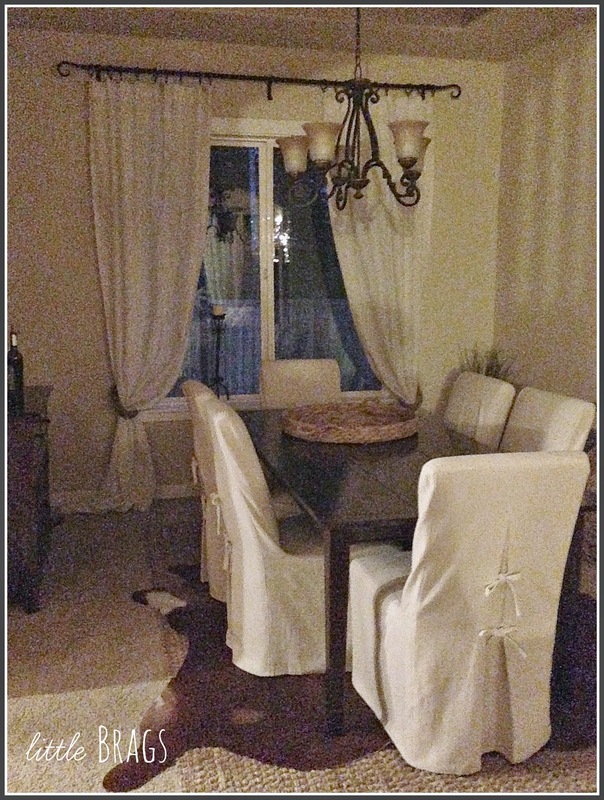 The dining room is far from finished, but coming along nicely. 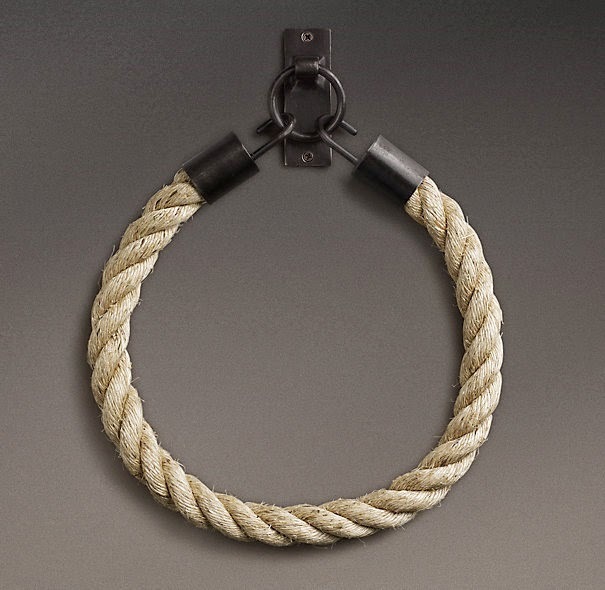 want to check out these gorgeous tie backs from Restoration Hardware I mentioned earlier. I found while getting ideas on-line. Thanks so much for visiting me!!!! Sending warm winter hugs to all my readers!!!! Great project! It looks fab! I love the look! Your version is a great idea! your so clever! Love your tie backs better than Restoration Hardware. They look awesome. You go girl. 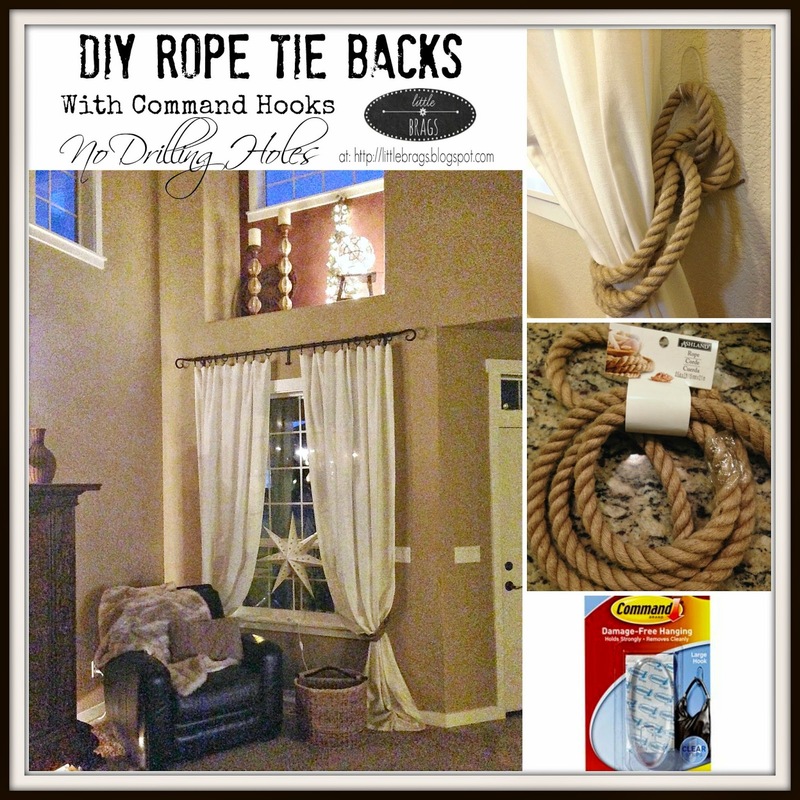 I love all the ideas for tie backs, and always better when they dont cost a fortune! Thanks for linking this week on Friday Features!! Have a great weekend, hope to see you for our wordless wednesday! Great idea! 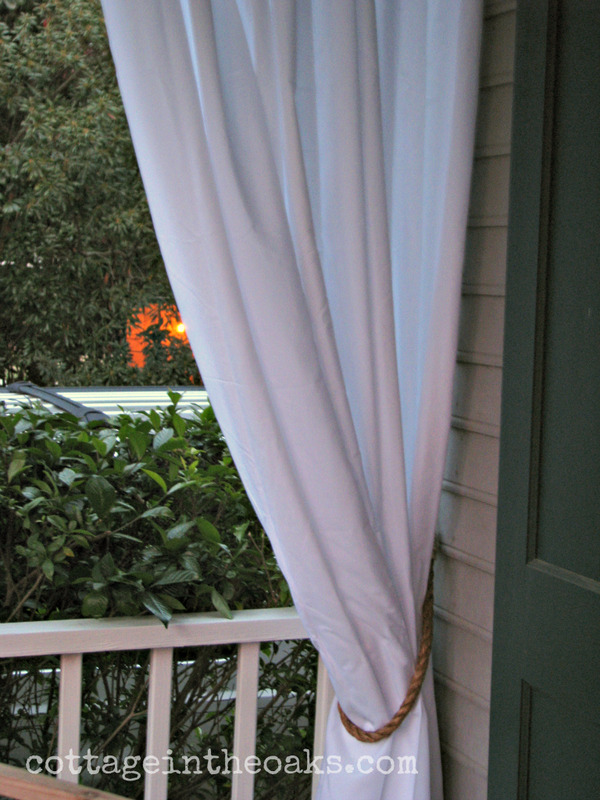 Thank you for linking up at pin worthy Wednesday, this has been pinned. Great ideas! Thank you for sharing them on Show Me Saturday! They turned out so cute Christine! Sure does beat the $80 price from Restoration Hardware!! Thanks for sharing with SYC. Loving the tie backs, especially the price! Thanks for the inspiration. I absolutely love the tiebacks! You are too funny about not wanting to get the drill out! Totally me! Haha! They look great! I am loving this. 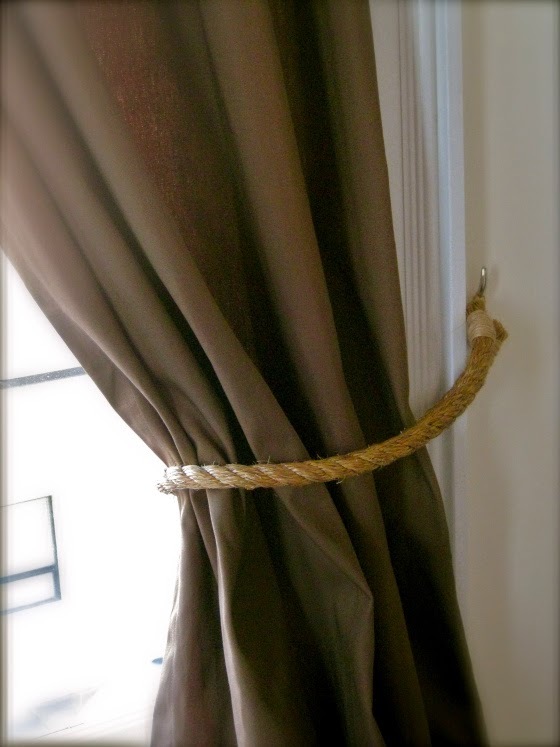 I have been wanting to make tie backs for my master bedroom curtains out of stringed pearls and ribbon but didn't have any ideas about attaching them. I never thought about the clear comman hooks....aren't those the best invention since the ipod? Love what you did!! Great job on the tie backs, they really look nice. Thank you for sharing with the Clever Chicks Blog Hop! I hope you’ll join us again next week! The rope is a perfect addition and right on trend. Thanks for linking up! Wonderful!! Thanks for introducing me to your blog! So many great ideas!! What a great idea to just make these yourself and so thrifty too. I can't believe how expensive they can be, it sure adds up when you need several. Thanks so much for sharing at Vintage Inspiration Party. I love that Christine! Thank you for joining Home Sweet Home! Love the tie backs! I love a little curtain puddle too! This is such a great idea. 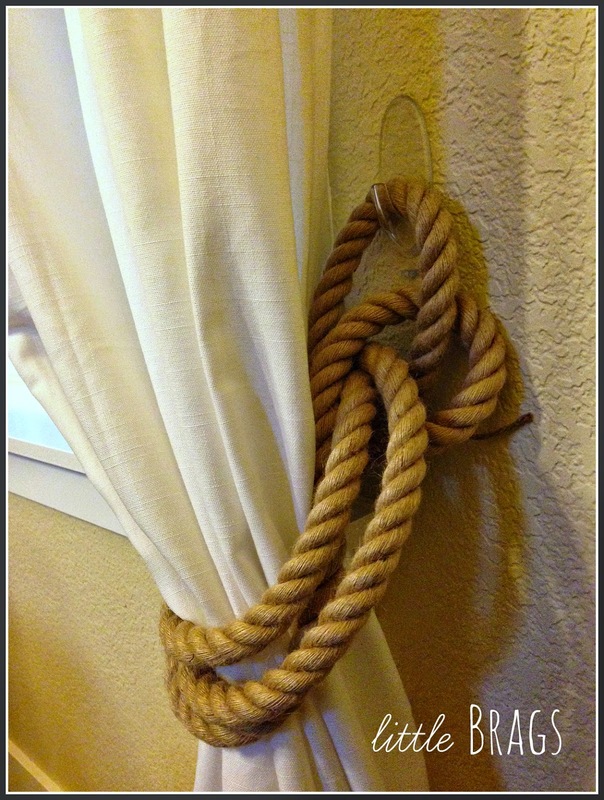 I love the texture the rope adds to your pretty curtains. That's great! 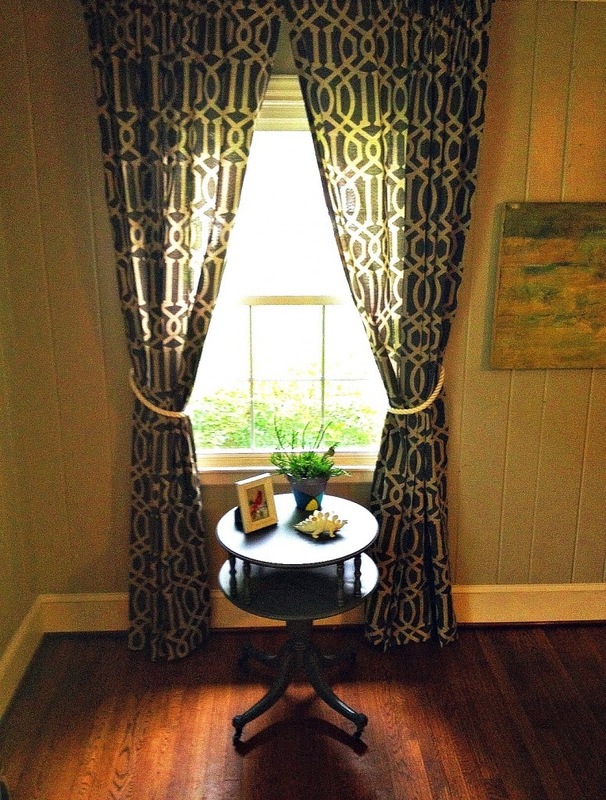 I love the corner by the window! I love this look! 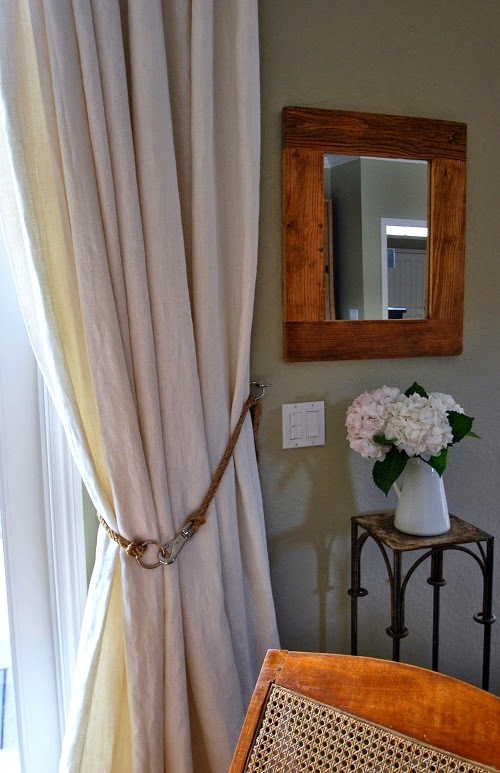 I actually did almost the exact same thing in my son's nursery - except using a thinner red twine/rope. I even used a command hook just like you did! It works so perfectly! Thanks for sharing at The Creative Circle! Your tie backs look great.. definitely gives the RH look you wanted at a fraction of the cost. Great Job!